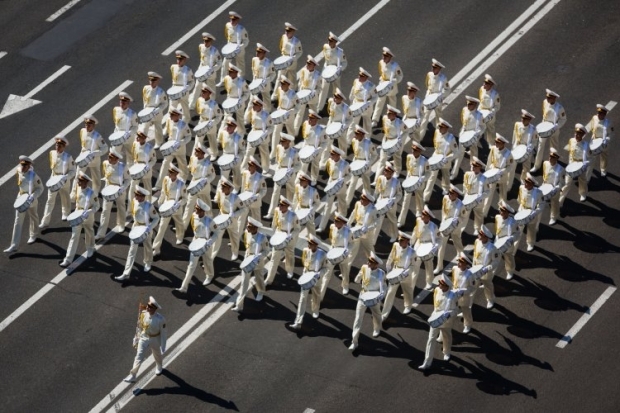 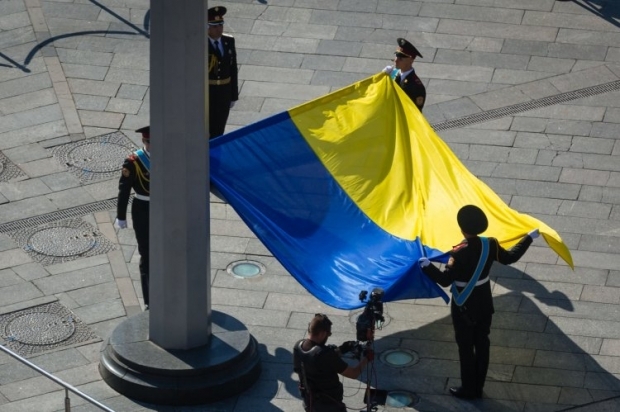 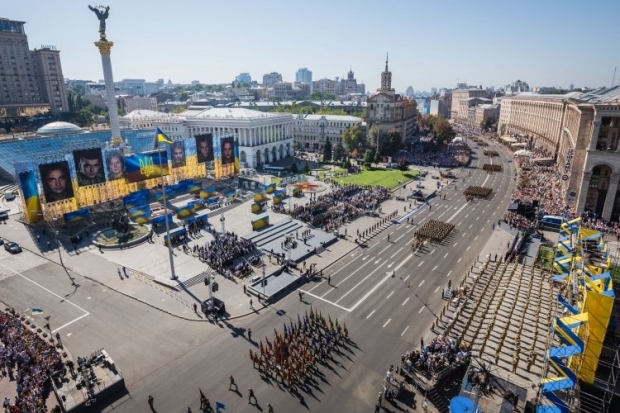 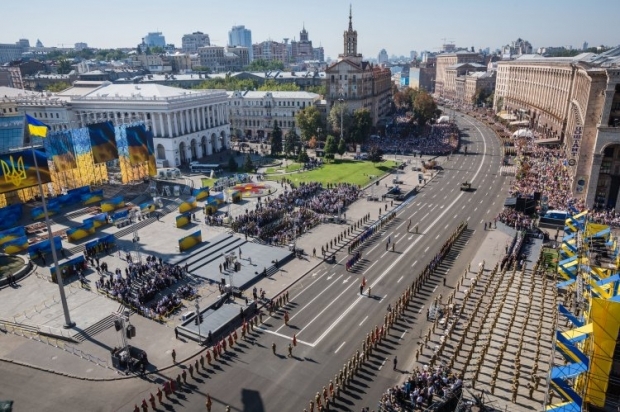 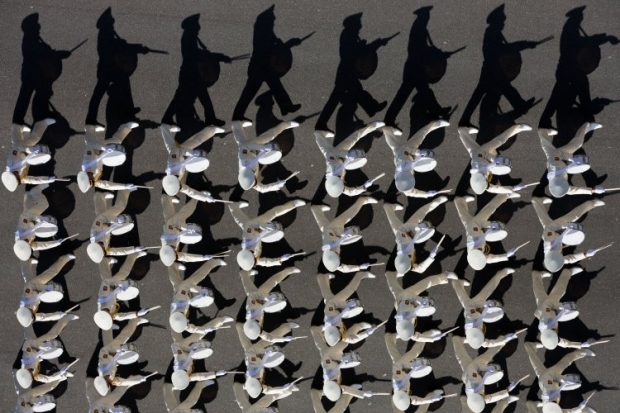 Ukraine marks Independence Day on August 24 and the official celebration of Ukraine's 24th anniversary of Independence began on Monday with hoisting the National Flag on Kyiv's Maidan Nezalezhnosti, or Independence Square, amid gun salutes. 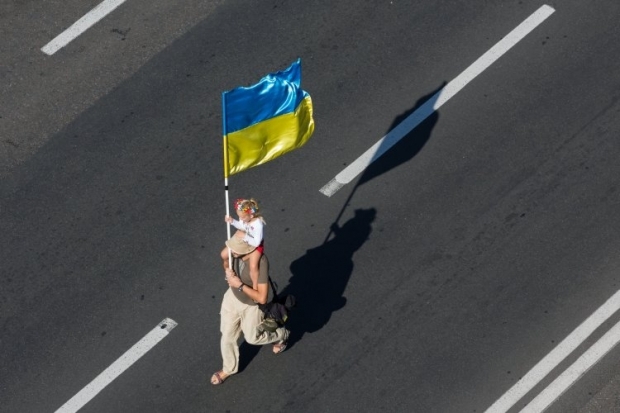 The March of Independence moved along Kyiv's main street, Khreschatyk. 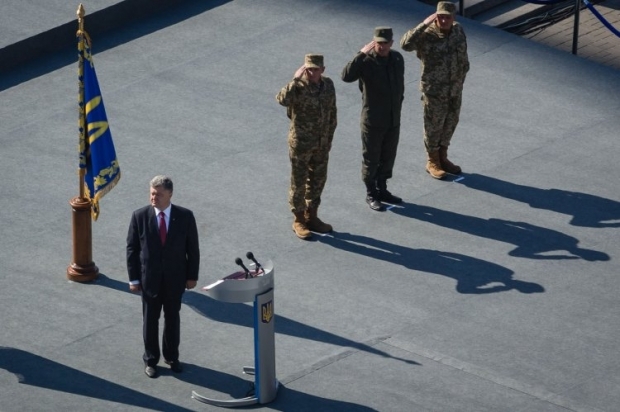 The official event was attended by incumbent Ukrainian President Petro Poroshenko, former presidents Leonid Kravchuk (1991-1994), Leonid Kuchma (1994-2005), and Viktor Yuschenko (2005-2010). 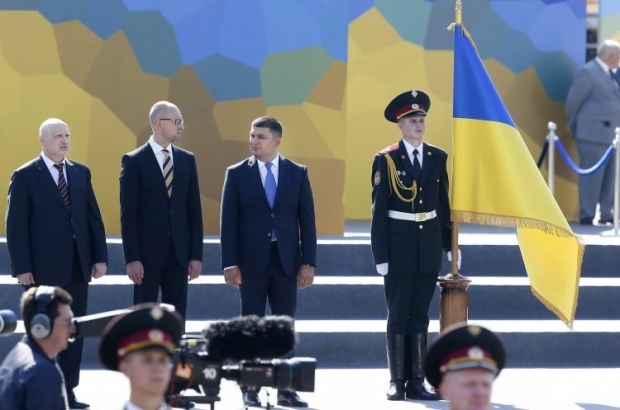 Present were also members of the government and other officials. 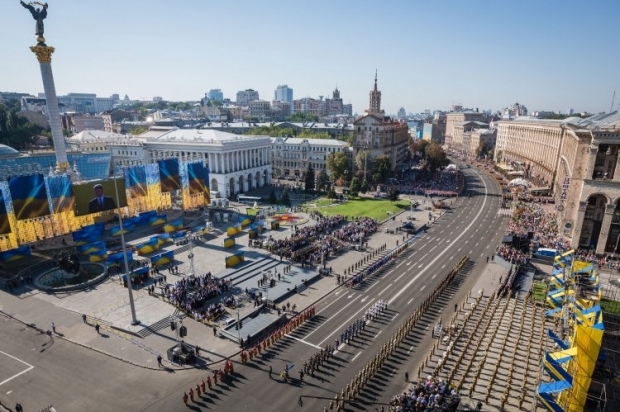 Thousands of residents of Kyiv and city visitors gathered along Kyiv's thoroughfare to watch the march in review. 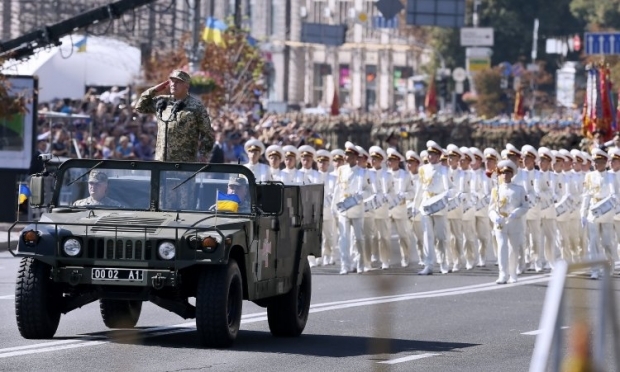 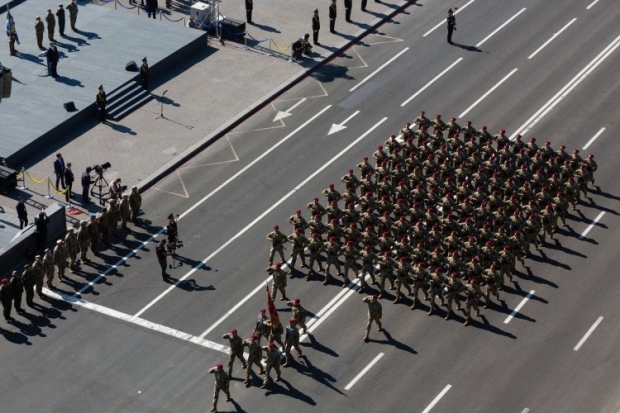 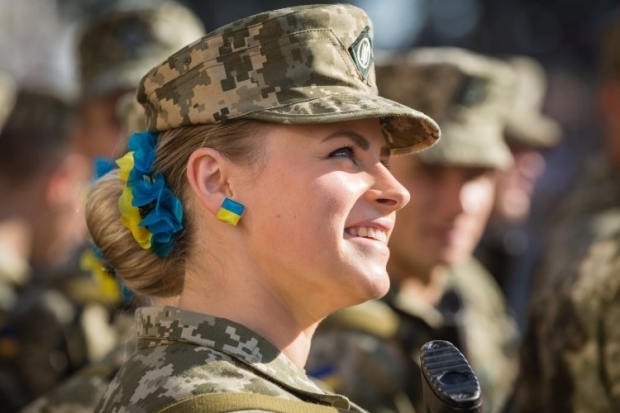 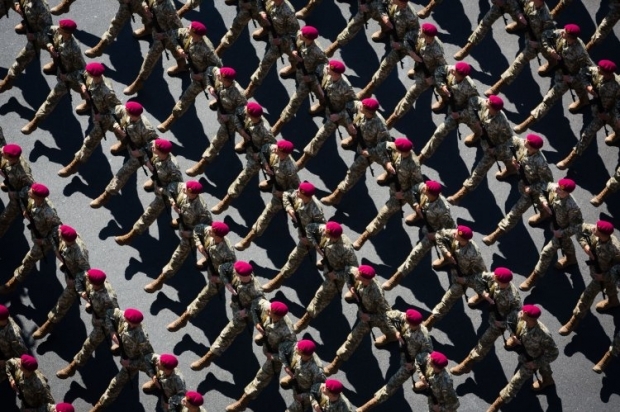 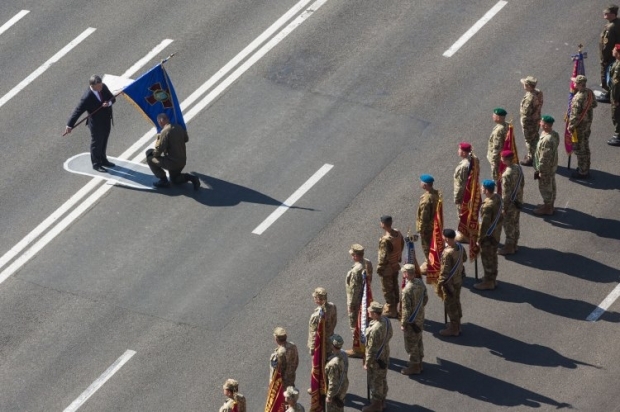 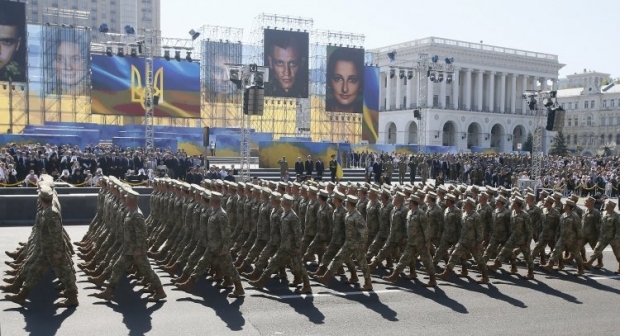 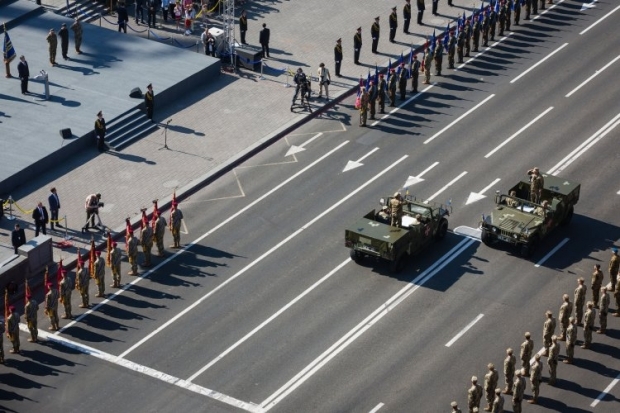 Defense Minister Stepan Poltorak jointly with Commander of the Land Forces Anatoliy Pushniakov made a circular tour of the troops participating in the march and congratulated the Armed Forces of Ukraine and the National Guard on Independence Day. 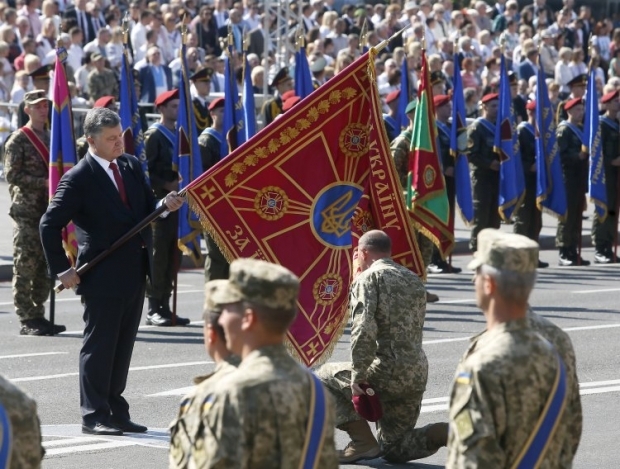 Having given an official speech, President Poroshenko handed the Colors with "For Courage and Valor" ribbons over to the commanders of the units and formations of the Armed Forces who have participated and are participating in the Anti-Terrorist Operation in eastern Ukraine. 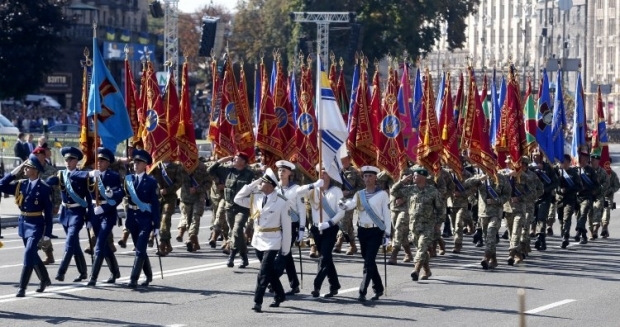 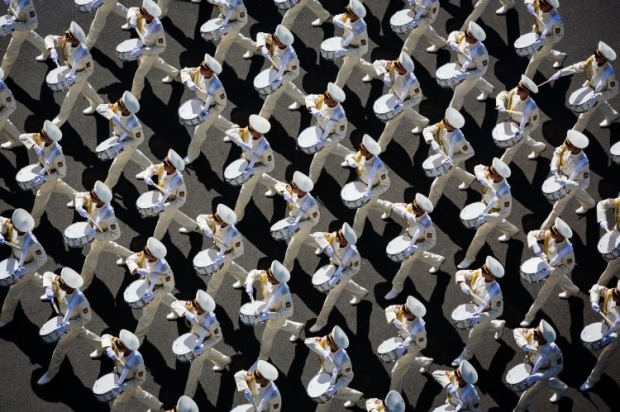 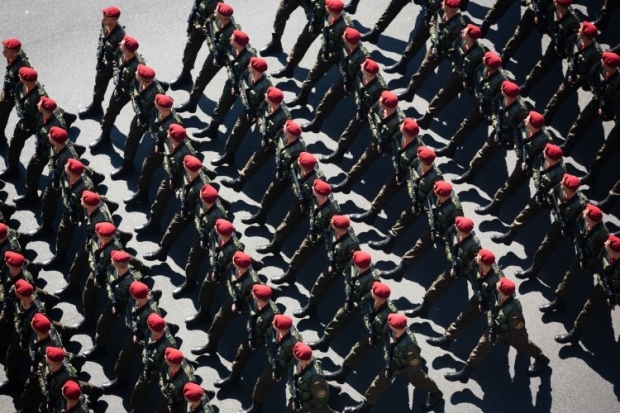 Then the 2,300-strong troops marched in review along Khreschatyk.